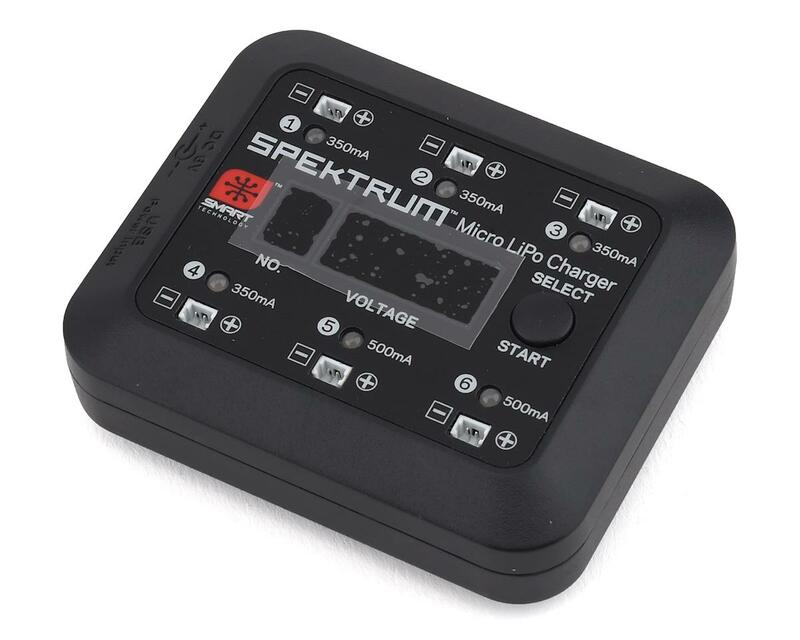 The Spektrum S63 DC/USB 1S LiPo Charger is a portable 6-port device no RC pilot of ultra-micro aircraft should be without. 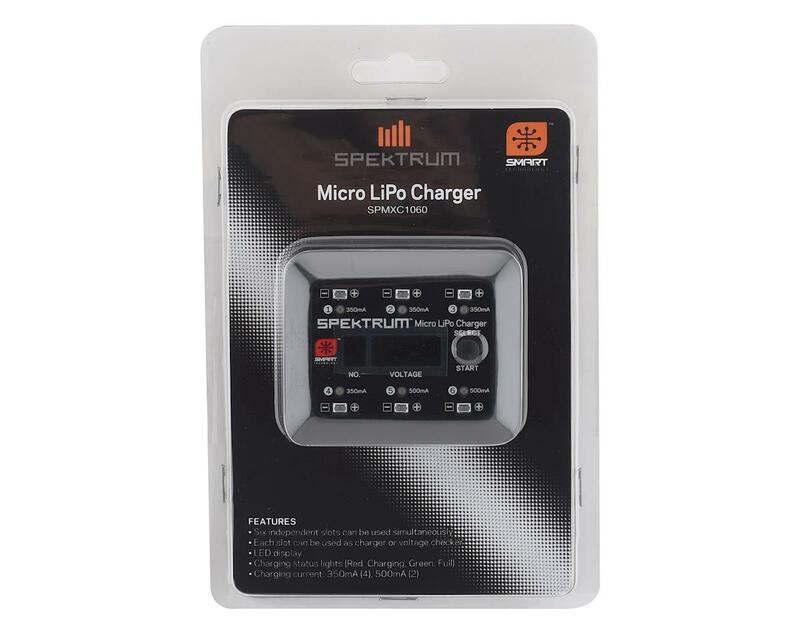 Featuring Spektrum Smart™ Charger technology, the digital LED status screen keeps you in control of your ultra-micro 1S LiPo battery fleet by instantly displaying voltage no matter which of the six ports a battery is connected into. 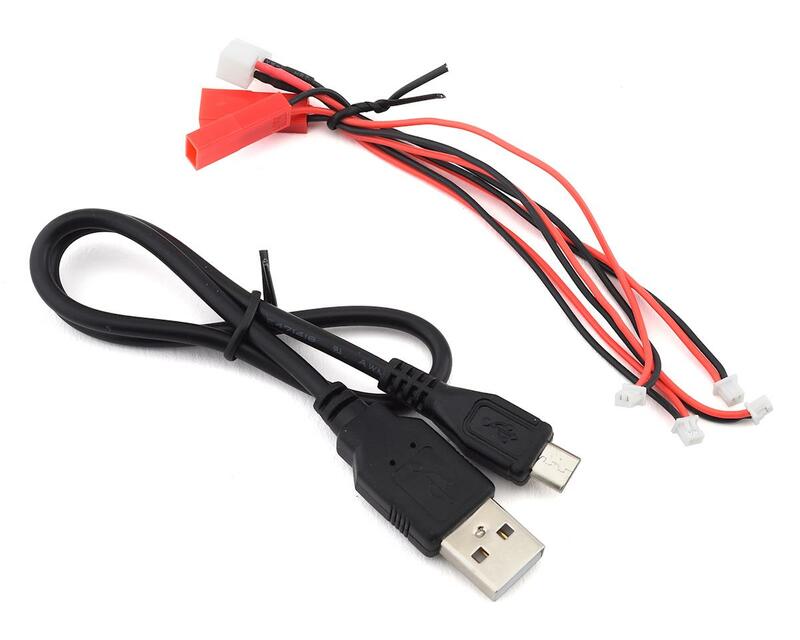 Compact: At practically half the size of the average smart phone, the Spektrum S63 LiPo Charger can easily fit in your pocket making it ideal to have handy at the flight line for quick battery voltage tests. Versatile: Go wireless with the Spektrum S63 LiPo Charger by using any 6.0V power supply or USB output from a Laptop. Both a battery charger and a battery checker, management of your 1S batteries could not be made simpler. Easy to Operate: One-touch button operation makes charging simple. The vivid LED readout center clearly displays port and voltage information while status LEDs brightly glow either red or green to indicate port status. SIMPLE!